« Join us for VA Bred Awards and Virginia Gold Cup, May 3-4, 2019! Menacing Dennis (ridden by Shane Crimin) and Feisty (ridden by Jacob Roberts) compete in the Orange County Point-to-Points’s Open Hurdle on March 31st. Phoot by Douglas Lees. A total of $15,800 has been awarded thus far through the first three Point-to-Point meets of the spring, courtesy of the Virginia Equine Alliance’s (VEA) new starter reward bonus program. 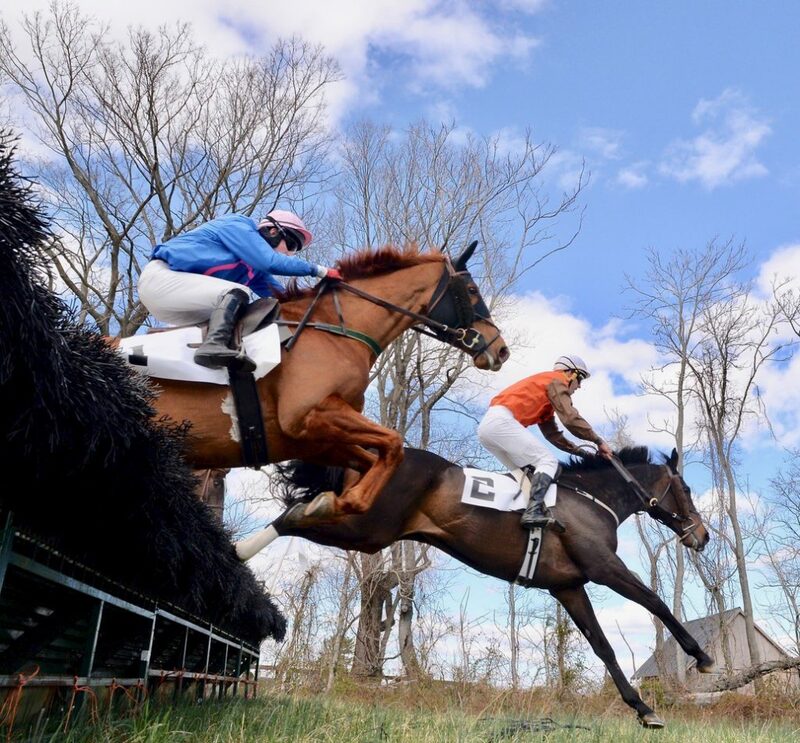 The initiative distributes a $200 award for Virginia-owned and Virginia-trained horses that participate in March and April Point-to-Point events. The first three of the season took place in Warrenton (Airlee Resort), Upperville (Salem Course) and Middleburg (Locust Hill Farm). 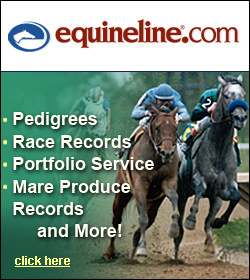 The most recent — Middleburg’s Orange County Point-to-Point on March 31st — featured eight races. A total of $5,800 in awards were distributed, representing 29 horses either owned or trained by a Virginian. Seven of the eight winning horses earned one of the starter rewards. Congratulations to winners Colonel Moorhead (Novice Rider Flat), Devil’s Wrangler (Maiden Flat), Holiday Mousse (Novice Timber #1), Curve of Stones (Novice Timber #2), King of the Road (Maiden Hurdle), Menacing Dennis (Open Hurdle), Le Chevalier (Open Timber) and Overdrawn (Open Flat). The $2,000 Leeds Manor Virginia-Bred or Sired Flat headlines this Saturday’s (April 6th) 2019 Old Dominion Hounds Point to Point Races at the Ben Venue Farm in Ben Venue, Virginia. The first of ten races goes to post at 12 Noon and the feature wraps things up at 4:00 PM. A field of five has entered the flat: Dragonthorn Steed, Somerset Rose, Scented Up, Willisville and Talk Less. The latter captured the VAHBPA Flat March 23rd at the Piedmont Fox Hounds Point-to-Point. The 5 year old Blame gelding was bred by Mrs. C. Oliver Iselin and has bankrolled $75,760 from 19 career starts. Willisville, bred by Mr. & Mrs. Bertram Firestone, has earned $49,330 from 14 lifetime outs. Photo courtesy of Douglas Lees.